Break with the boring and add a splash of color to your collection. Black and white may be safe bets when it comes to watches, especially when tasked with daily wear duties, but sometimes a splash of color is needed to add a little variety to the watchbox. Watches with a bit color run the risk of falling into and out of style a little fast than their monochromatic brethren, but where’s the fun in playing it safe? To get you pointed in the right direction, we’ve selected a few of our favorites that run from less then $200, to over $300k. 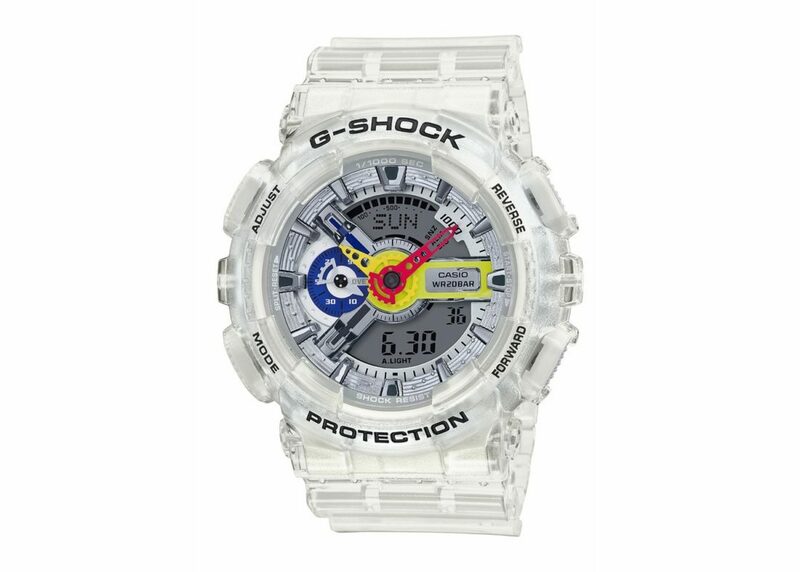 Is it cheating to kick things off with a G Shock? Okay, so there’s plenty of colorful G Shocks out there, but this Asap Ferg limited edition sets colorful dial elements against a stark clear base, which makes it pop all that much more. If you’re not quite ready to shift off your subdued daily wear watch, this is a great splash for the weekends. On the other hand, if this fits into your daily wardrobe, rock it with pride. These are trading at or a touch below MSRP, keeping them well under $200. 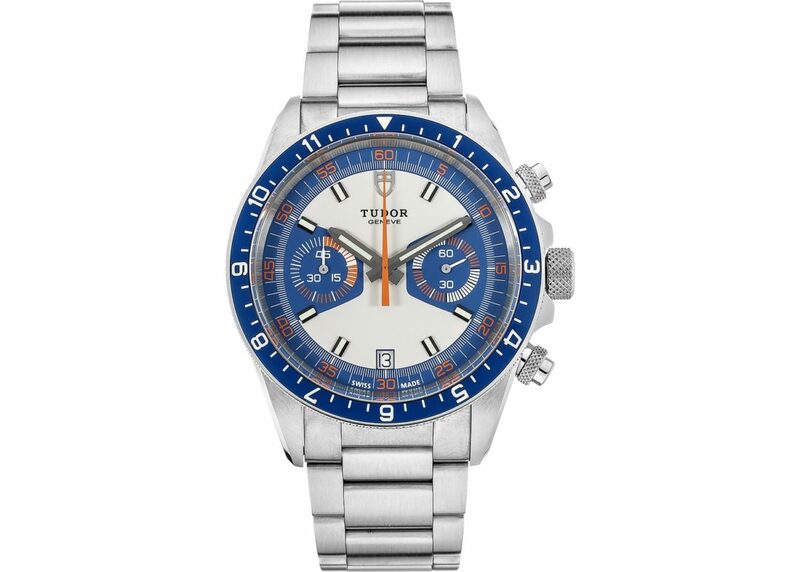 We love this rendition of the Tudor Heritage Chronograph for its bright white dial that features blue and orange accents. The unusual design of the sub dials fits right in with the colorway, and the included NATO strap in blue adds that much more personality. Tudor nailed the throwback look and feel here, which is based on the reference 7169 released in 1973, and it works as well today is it did back then. It’s safe to say this is a colorway that’s stood the test of time, and we’d call it the perfect Springtime wrist companion. Prices hover around $3,000 for these in the pre-owned market. 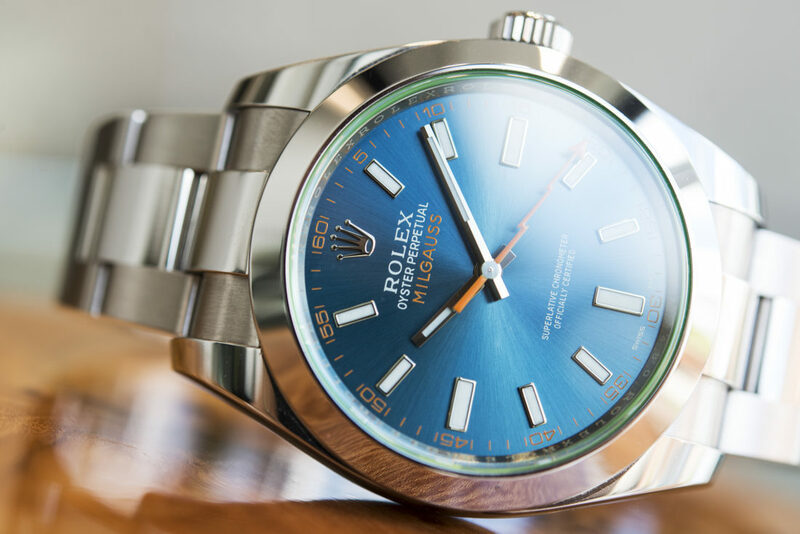 The Rolex Milgauss has been content in the shadows cast by more popular steel sport watches to don the crown, but it’s easily one of the most interesting. 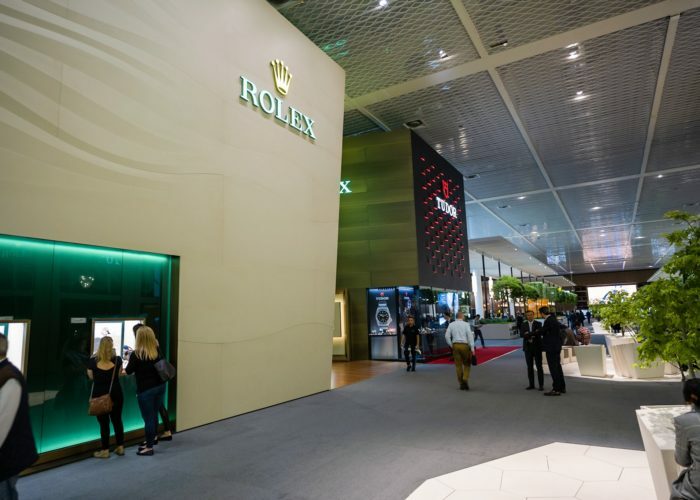 Not only for its rich history as a purpose built tool for engineers, but also for it’s dashes of flair not often seen when it comes to Rolex. Take the lightning bolt seconds hand, and more recently the colorful dials and crystals. The Z blue dial in particular captures this spirit with a blue sunburst dial, and a green tinted crystal, creating a deep turquoise effect. The orange accents are a fitting final detail. 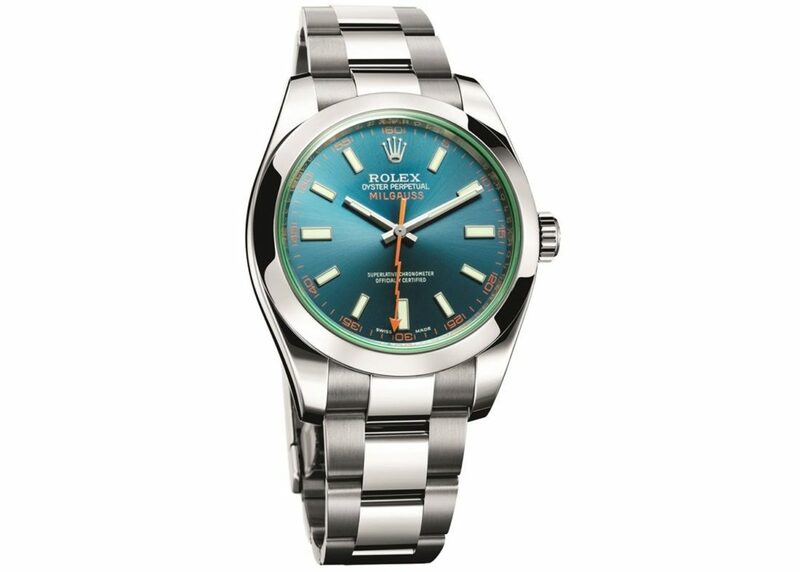 Asks generally run under $8k here, but with the rumor mill churning on a new Milgauss, these are highly subject to change. As familiar as you may be with the Speedmaster and it’s impressive credentials, you’re probably less familiar with the Mk 40 variant. 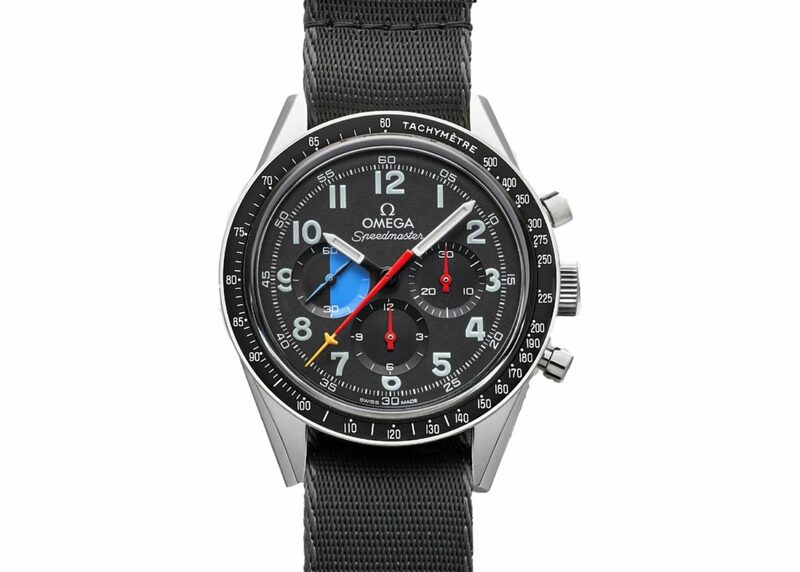 The original features a chronograph (this is a Speedmaster, after all), and a triple calendar complication with the day, month and date all represented, and a 24 hour hand thrown in for good measure. 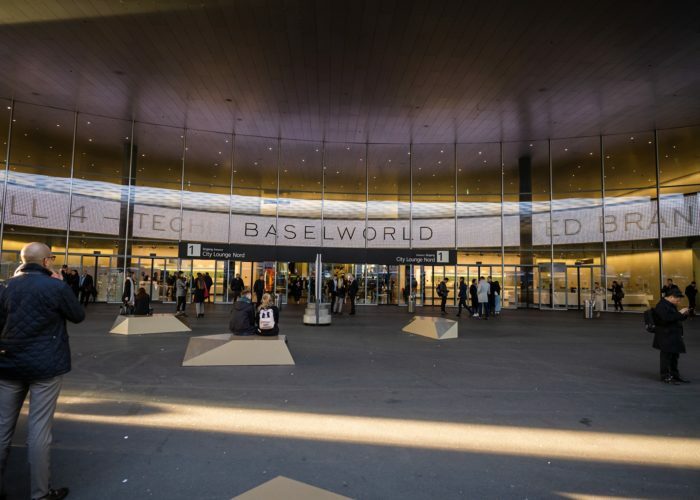 Each area had its own splash of color, and when the watch was recreated by HODINKEE in 2018 it brought the colors back. It may have lost the calendar complications, but it’s still a handsome take on the often forgotten original. 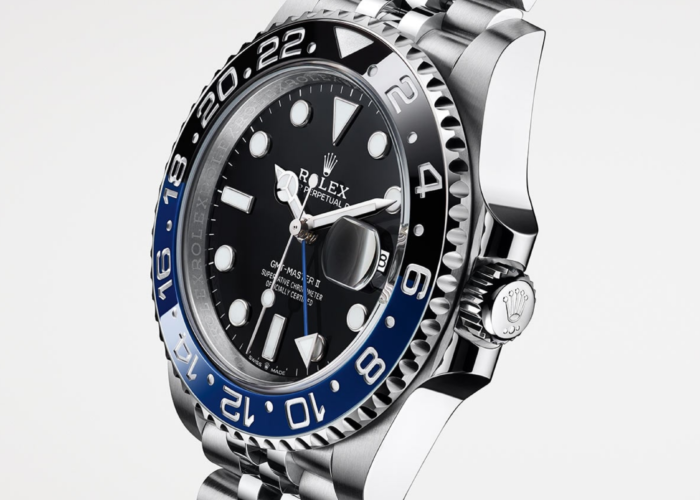 These are long since sold out, with prices in the resale market ranging from $8k – $9k. 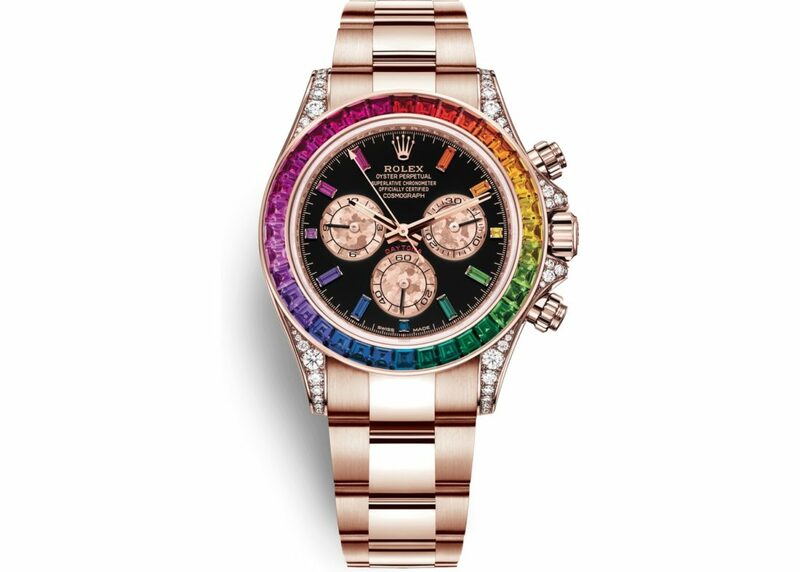 Going all out and over the top is an artform, and this Rolex Daytona in full on rainbow guise is a Rembrandt. As hard as these are to get from your local AD (like most Daytonas), they are downright insane on the resale market. But if you’re the type to sling 6 figures at a colorful watch, this is one you gotta have. Featuring an Everose case and bracelet alongside the bespoke rainbow jeweled bezel, this is a watch that does the exact opposite of fly under the radar. And who doesn’t need a little of that in their collection? Price falls firmly into the “if you have to ask…” territory.